You don’t get much more niche than artisanal sesame-seed products. 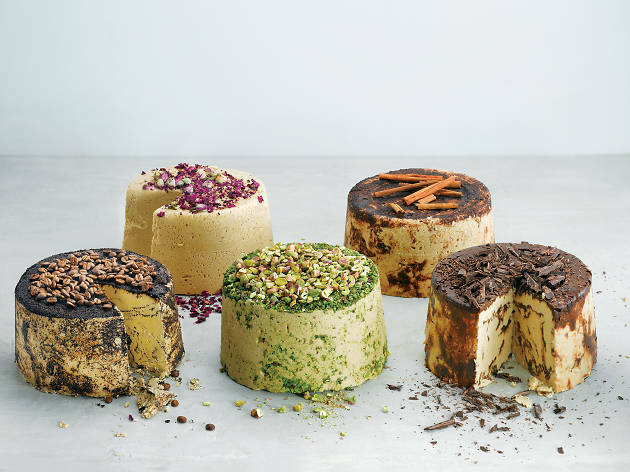 That’s the focus of this Chelsea Market shop, with more than 30 flavors of house-made halva as well as three types of freshly milled tahini. Founder Lisa Mendelson, who previously introduced frozen yogurt to Israel through her Tel Aviv–based chain Yogo, now brings a cultural import from the Middle East back to the U.S. Along with partners Monica Molenaar and Rachel Simons, Mendelson employs high-quality Ethiopian Humera seeds—roasted at precise temperatures and milled in small batches—in halva varieties like coffee and ginger, as well as two sesame-based spice blends and a tahini-and- goat’s-milk ice cream made in collaboration with Victory Garden NYC. We're all about spreading the sesame love! Come taste our freshly milled tahini, one of our creative halva flavors or the delicious tahini goat milk ice-cream! You can now also find us in Whole Foods Market Bryant Park and Closter, NJ. The staff was so friendly and attentive. I sampled the Nutella halvah and it was amazing! I obviously had to buy a piece afterwards. Great to pair with the goats milk ice cream! The goat's milk soft-serve ice cream with tahini is pretty darn special, and goes into the next level with a sprinkling of halva on top (ask for a sample of the cardamom version).